I went hiking with some friends on Sunday to Mt Monadnock in New Hampshire and tried to do something new with my landscape photos. 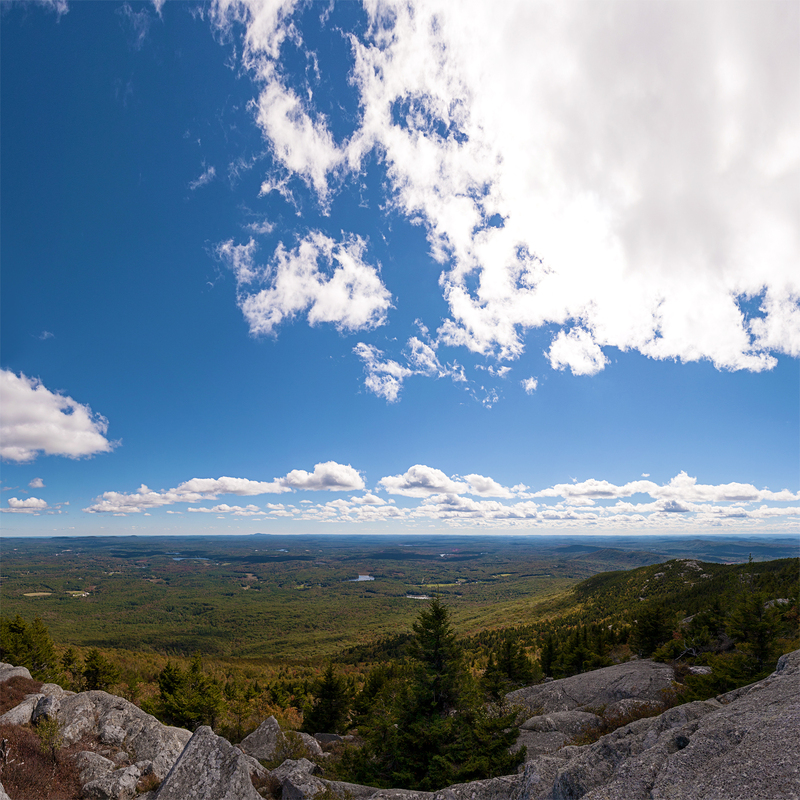 When we got to the top of the mountain, I decided to try making a square panorama made from 18 separate images. This full image is huge, I can’t wait to see it printed really big and put up on my wall, this smaller version lacks the detail of the original, but due to file size I will only post this one here. There is something amazing about being up so high on a mountain and being eye level with the clouds.